The smallest owl in western Europe is having a difficult time. 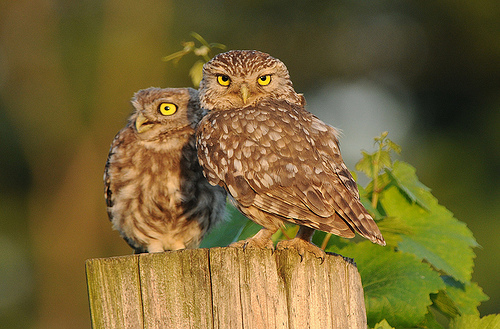 Because of the disappearance of willow-trees, the uniformity of the farmland, and the use of pesticides, the number of Little Owls has diminished. 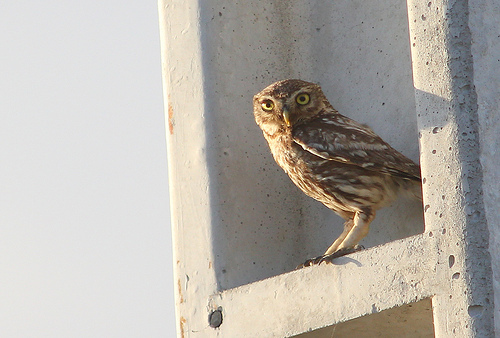 The Little Owl is known for its relatively large head on a small body.